Please join us for a reception with light refreshments starting at 6:30pm. Tickets are available online here. Students $5 (available until April 26); General Admission $20. Valid ticket required for entry. Please email info@scienceandfood.org to join our mailing list and be notified event details and future lectures. Directions & Parking: Parking is $12 dollars. Further information will be emailed to all attendees prior to the event. Dr. Heather Hava, “space gardener” and inventor is committed to creating game-changing innovations and technologies with the power to maximize the health and well-being of humans on Earth and in space. 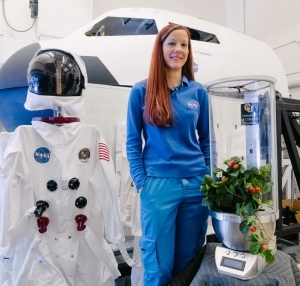 Her research includes developing Bioregenerative Life Support Systems, the effects of food systems and Human-Plant Interaction on astronauts’ well-being and space habitat design. Heather’s research is closely aligned with NASA’s human space exploration critical path and is applicable to sustainable living systems on Earth today. Heather is also an entrepreneur and founder/CEO of Stellar Synergetics and cofounder/CEO of Autoponics. 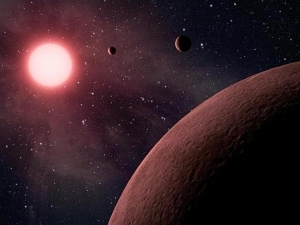 These companies are engaged in a joint venture focused on creating social, environmental and economic impact by providing affordable, environmentally responsible housing and Controlled Environment Agriculture facilities, for Earth applications and ultimately to support life in space. Heather is a NASA Academy Alumni and received a NASA Space Technology Research Fellowship. She has received several awards for her innovations including: the 2016 Lemelson-MIT “Eat-It” Graduate Inventor Prize, was a 2016 USPTO National Collegiate Inventors Competition finalist and received the 2012 eSpace Entrepreneurship Award. Heather was invited to speak at the Whitehouse Frontiers Conference on the Interplanetary Track panel. Heather is currently pursuing a Ph.D. in the Aerospace Engineering Sciences program with an emphasis in Bioastronautics at the University of Colorado Boulder and holds a MS from this program as well as a Bachelor’s Degree in Mechanical Engineering Technology from the Oregon Institute of Technology. 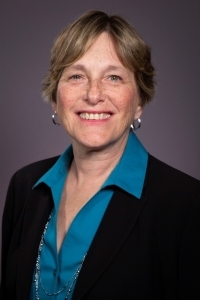 Dr. Michele Perchonok recently retired after working for 17 years at NASA Johnson Space Center as manager of the NASA Human Research Program (HRP) Program Science Management Office. Prior to holding that position, Michele was the HRP Advanced Food Technology Project Manager and the Shuttle Food System Manager. As HRP Advanced Food Technology Manager, Michele was responsible for space food product development, menu definition, nutritional requirements implementation, food processing, food packaging development, and the integration of NASA food science research for exploration space missions. Prior to joining NASA, Michele worked at Riviana Foods and the Quaker Oats Company Pet Food Division. Michele holds a B.S. in Chemistry from Brown University and a M.S. and Ph.D. in Food Science with minors in Nutritional Biochemistry and Marketing from Cornell University. Michele has published more than 25 articles and 2 book chapters. Michele is an Institute of Food Technologists (IFT) Fellow and a Certified Food Scientist. Michele is currently IFT President. When Chef Carlos Salgado, opened Taco María in 2013, he made a decision to honor his family’s culture and their hard work by making Mexican-inspired food with a reverence for its provenance. Using the best ingredients available and applying the techniques and values he learned in Michelin-starred restaurants, Salgado works to create a syncretic Alta California cuisine that represents Mexican food by putting real corn at the foundation. At the heart of the restaurant is a Mexican saying: “Sin maíz, no hay país.” “Without corn, there is no country.” Recognizing the importance of corn to reinterpreting or evoking Mexican cuisine, Salgado nixtamalizes and processes all of Taco María’s masa products in house from heirloom varieties of corn grown by small family farms in Mexico. Prior to opening Taco María, Salgado spent a decade in San Francisco and Oakland, learning in many of the Bay Area’s best kitchens, including Vernon Morales’ Winterland, Daniel Patterson’s Coi, and James Syhabout’s Commis. 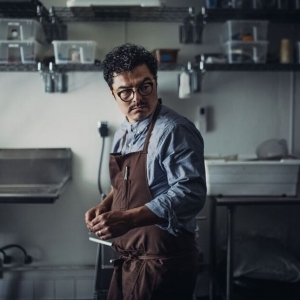 He was named a Food & Wine Best New Chef in 2015, as well as Chef of the Year in the Orange County Register. In 2016, 2017, and 2018, he was named a James Beard Award semifinalist for Best Chef: West. Star Chefs honored Salgado with their 2017 Rising Star Community Chef award for his commitment to the values and practices that make Taco María a responsible social institution. 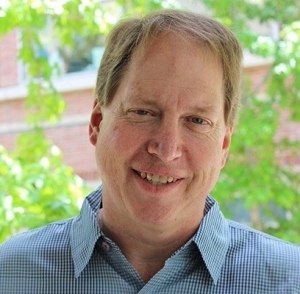 Dr. Mark Gold is the Associate Vice Chancellor for Environment and Sustainability at UCLA. His research focuses on integrated water management, coastal resource management, and urban sustainability. He is spearheading UCLA’s Sustainable LA Grand Challenge: thriving in a hotter Los Angeles, with ambitious goals to transition Los Angeles County to 100% Renewable Energy, 100% Local Water, and Enhanced Ecosystem Health by 2050. Mark also serves on Mayor Garcetti’s Water Task Force and is a city representative on the Metropolitan Water District. Prior to working at UCLA, Mark was the President of the environmental group, Heal the Bay, for 18 years. He created Heal the Bay’s Beach Report Card, and has authored or co-authored numerous California coastal protection, water quality and environmental education bills. Mark has worked extensively over the last 20 years in the field of coastal protection and water pollution. In particular he has worked on research projects on urban runoff pollution, DDT and PCB contamination in fish, and the health risks of swimming at runoff contaminated beaches.